Melilla, Spain, April 24th 2014. 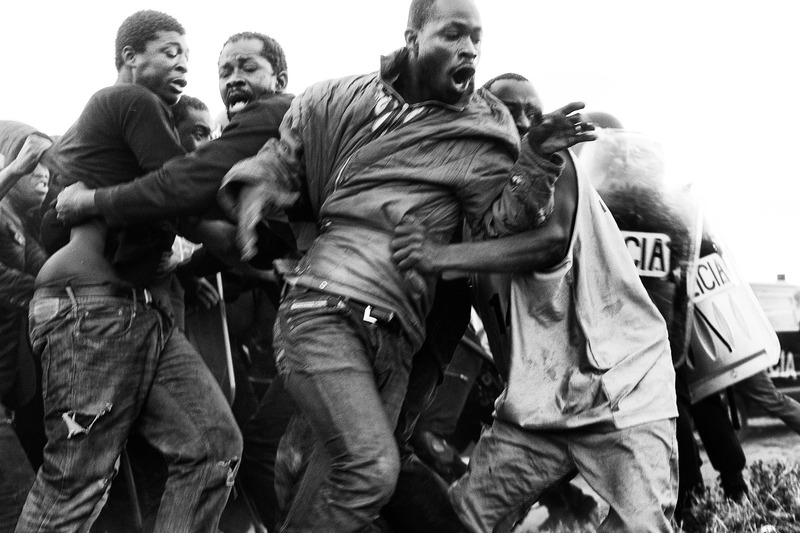 Some 20 subsaharan migrants manage to escape from the Police and star running through the fields next to the border. Despite the fact that these migrants had the right to stay in Spain since they touch Spanish soil, the Guardia Civil and the Police illegally expatriate most of the 100 migrants who attempt to cross the fence.